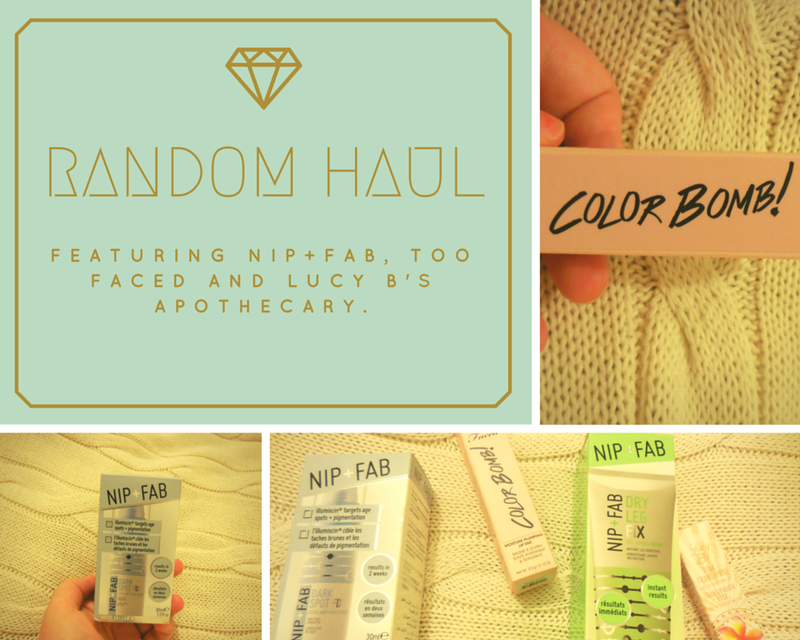 Haul and Reviews Featuring Nip+Fab, Lucy B's & Too Faced. 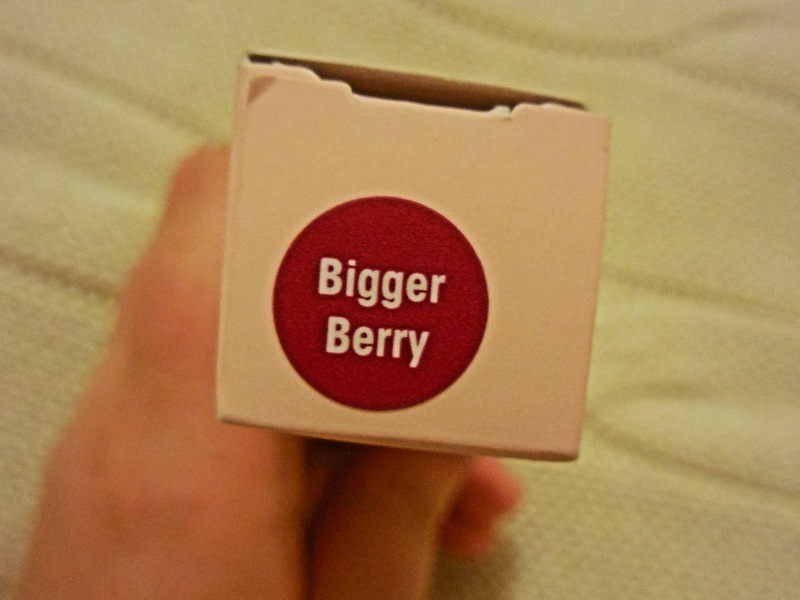 So I bought this cute little lip tint today from Too Faced, having picked it up on impulse I was greatly surprised to find it was a plumping formula!! 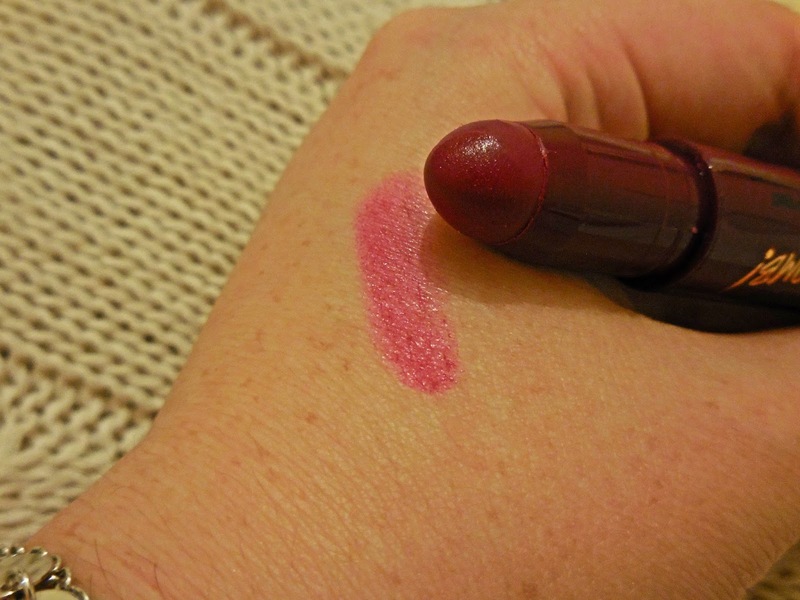 It's quick highly pigmented with a nice gloss on it. The plumping tingle isn't as strong as S&G's Motherpucker. It's more like a slight vibration that lasts around 5-10 minutes. I really like this, you can apply more coats for a desired colour which I think is awesome. Some days you want just a light brush of colour and this will do that for you. Highly recommend. 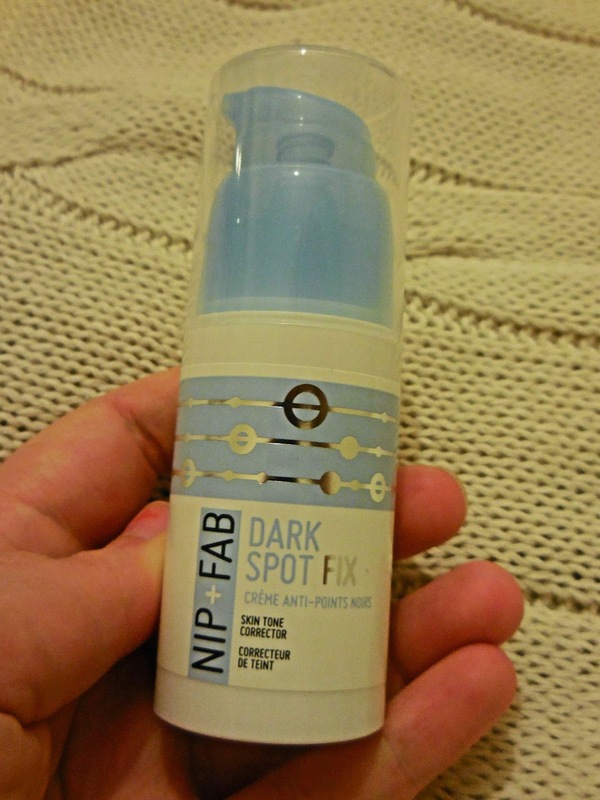 Say hello to Nip+Fab's Dark Spot fix. 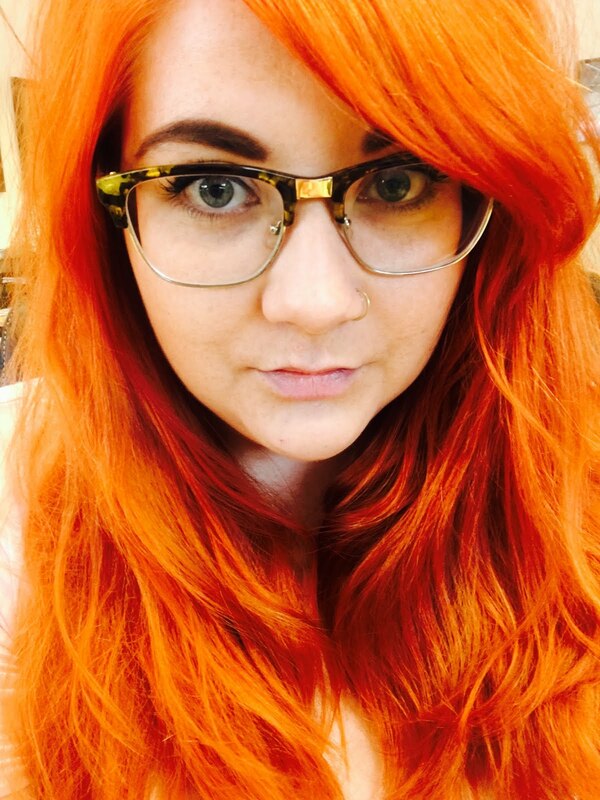 Now this is not me admitting to you that I'm actually a 78 year old woman with Liver spots, no. 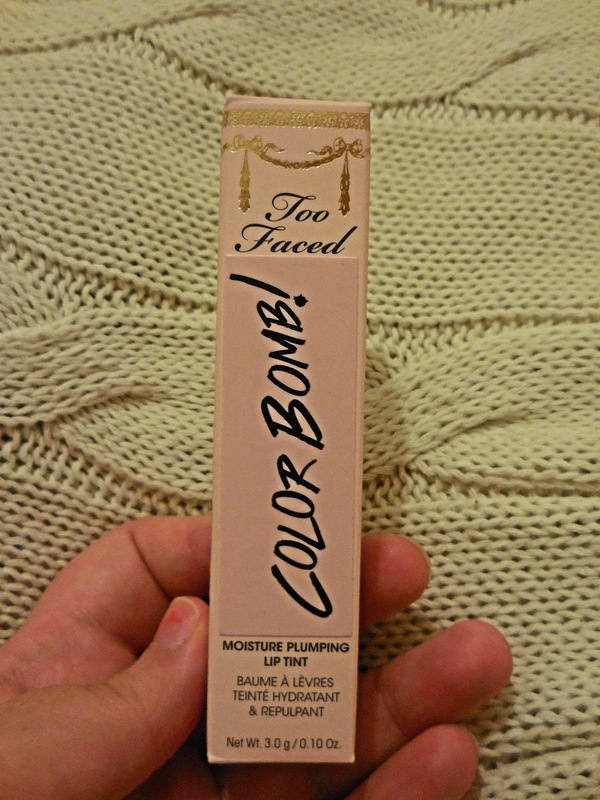 I grabbed this because I have very uneven skin tone and if it is possible that I could look good without foundation I need to even it out. This says it targets pigmentation and that you will see a result in two weeks. Oh I do love a promise. 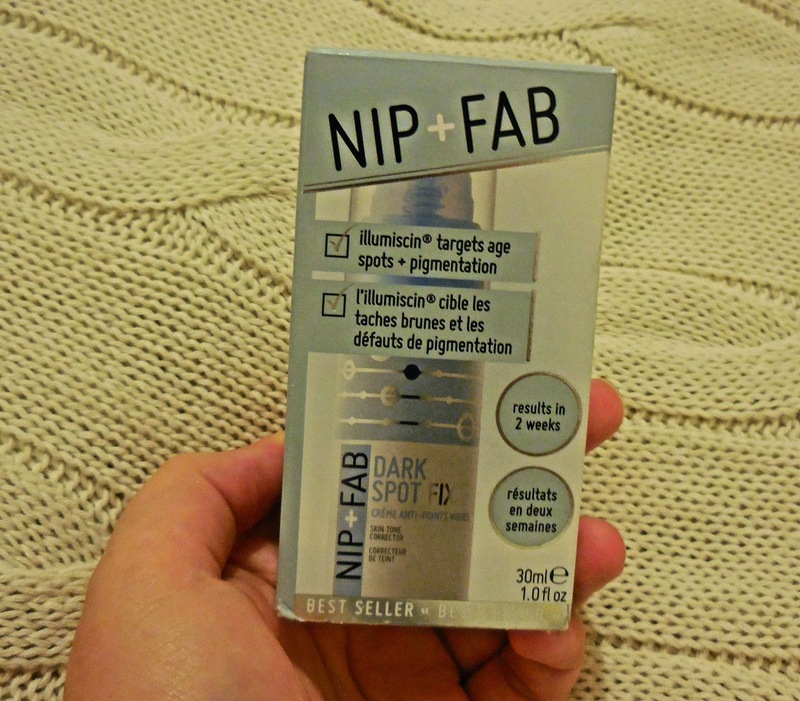 I applied it for the first time this evening and it's a light thin serum which soaks in well. 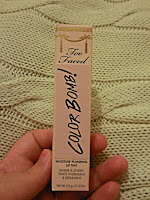 I am not going to review this just yet because I am taking the two week challenge. Come back to find out! 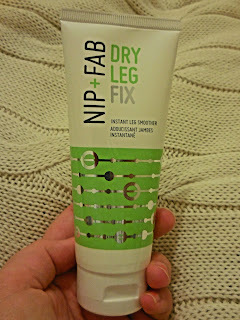 Next up again from Nip+Fab is their Dry Leg Fix. 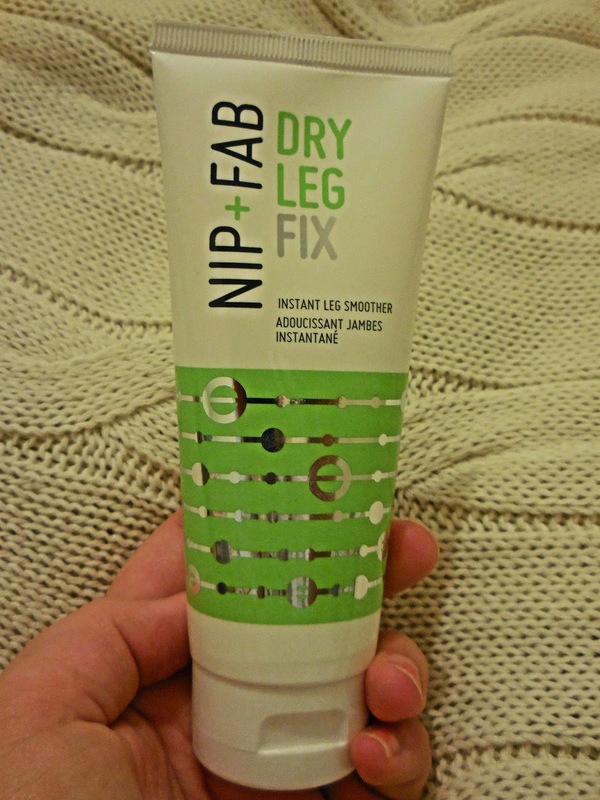 Now my legs are like those of a lizard, they are SO dry and such a pain. 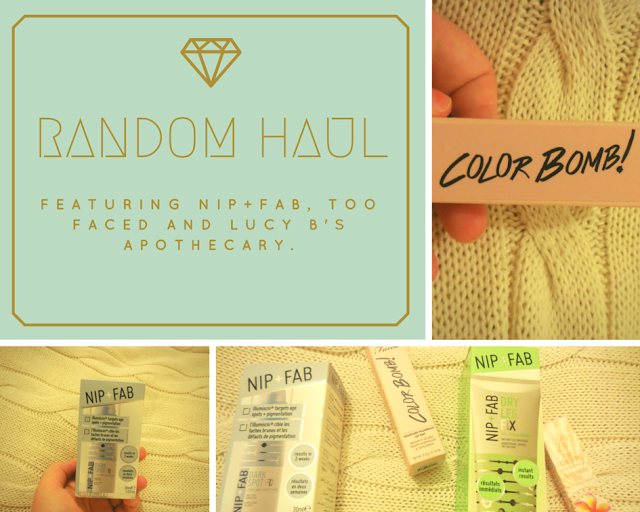 When I scratch them they become ashy, so anything that can help that (especially in this weather) is a must! 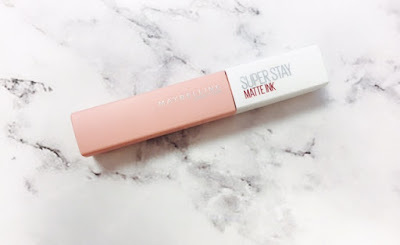 So the product claims instant results and 24hr moisture. 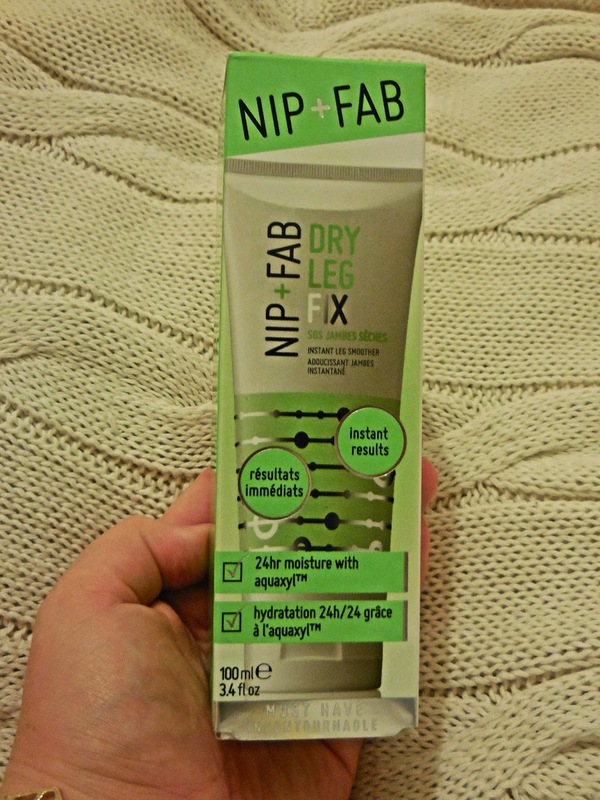 I had a bath, shaved my legs and then gave this ago. 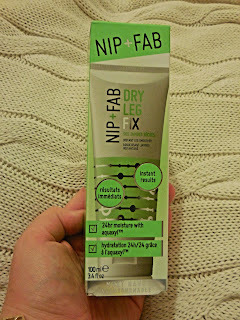 Normally if I moisturise even a couple of hours after shaving I will get a rash but not with this (awesome). Due to the fact that the tube is small I didn't use too much and I'm glad. It went a really long way, soaked in and wasn't sticky. 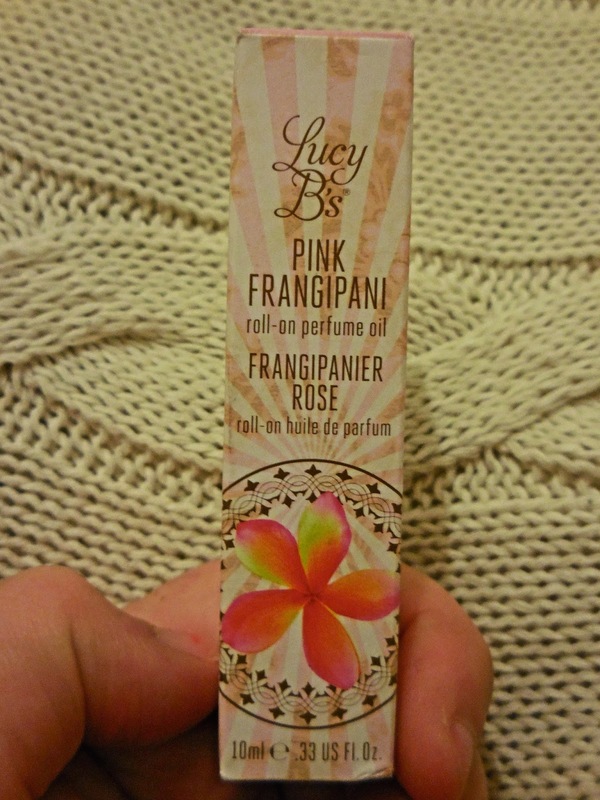 I'm pretty sure it's fragrance free, or I could just smell the face serum. I will update you in the comments tomorrow to whether or not they're still moisturised but so far so good. I, so far, will recommend this. This is the first time I have used anything by Lucy B's Apothecary and it will not be the last. 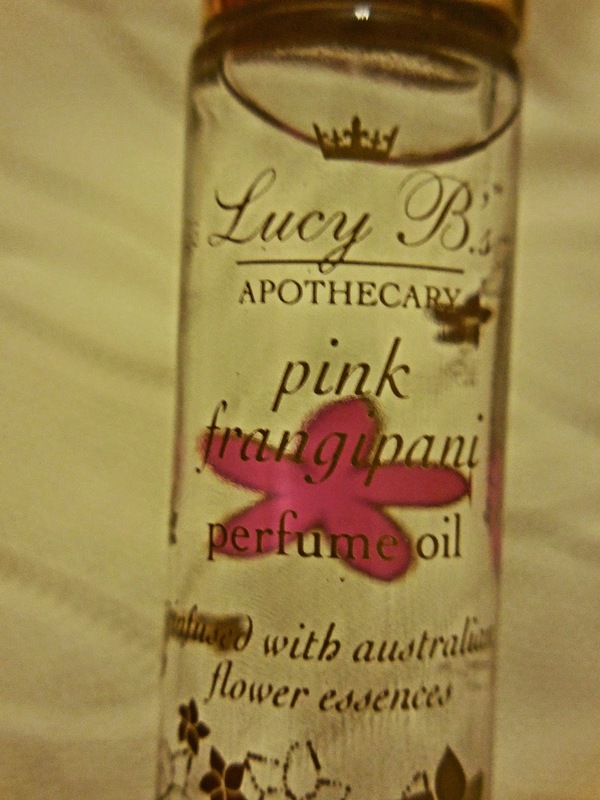 This stuff is made in Australia and there is a huge range of products. 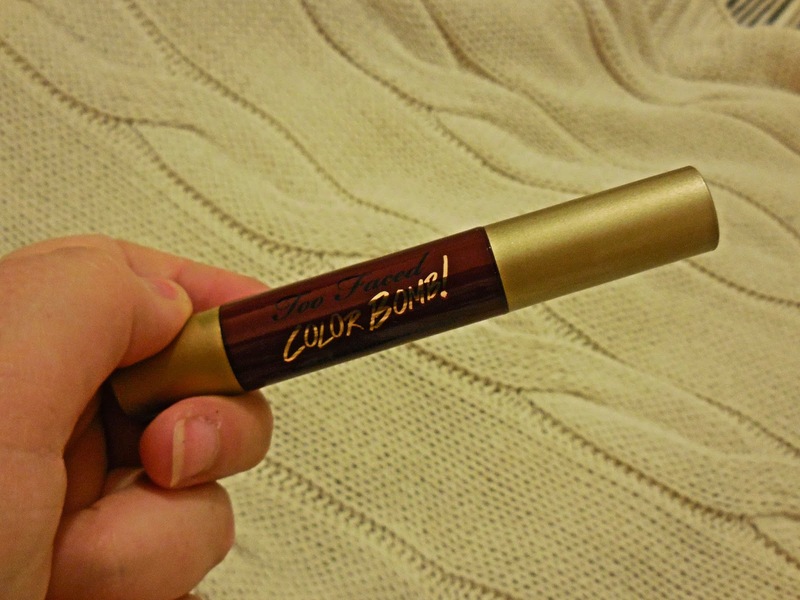 I went with the roll on oil perfume to save me lugging about full perfume bottles in my handbag and this is the prettiest, cutest, little thing ever! 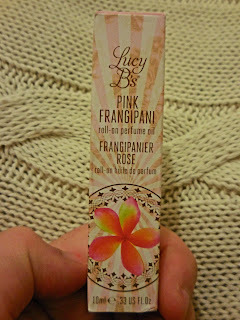 So the scent I went for was pink frangipani, now you will either love this or say "that smells like sun cream". I love it!! It smells really summery and not too floral and if it smells like sun cream to you it would be some kind of high end sun cream that I can't afford! I really recommend buying this, it's fab and I think because it's a oil the smell lasts and lasts, awesome!! 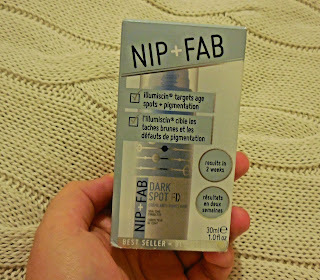 I'm going to try loads of other products from this brand, it may become a love affair!